Adobe Illustrator is still becoming the first option when it comes to vector editor, but obviously, it is not the only vector editor around out there. If, for a certain reason, you want to use another vector editor then read on. 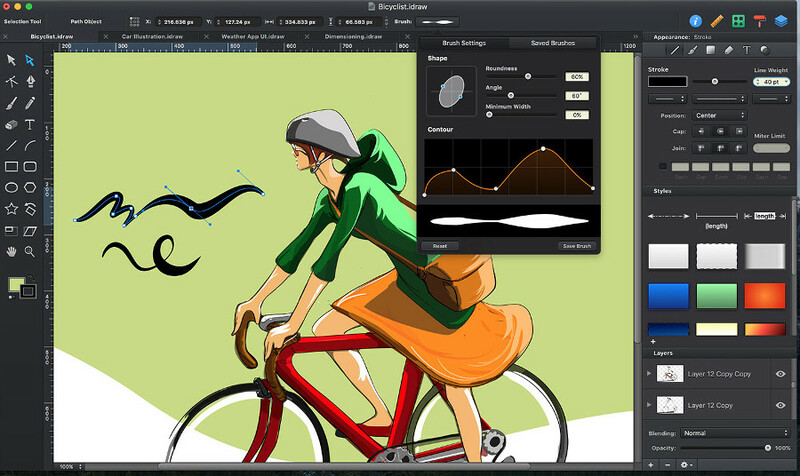 This article will show you the best Illustrator alternative apps you can use. Illustrator is just a tool. What determining your design the most is actually your skill. If you have a good skill and have mastered some techniques, no matter the tool you use you will always be able to create stunning designs. Following are some vector editors you can use to replace Illustrator. 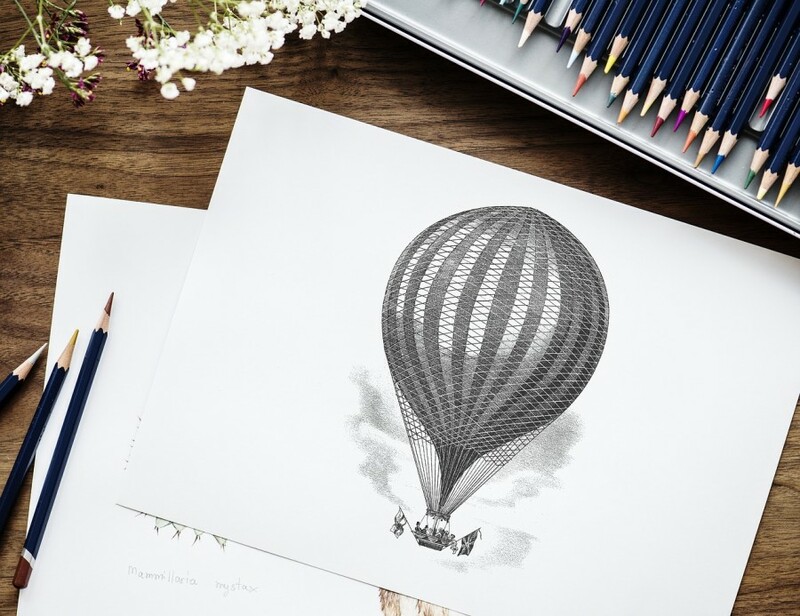 Inkscape has been widely-known as the free alternative to Illustrator. The tool is primarily popular in the Linux users scope since it’s an open source software. In addition to Linux, you can also install Inkscape on Windows and macOs as well. It’s the best option if you are looking for a free alternative to Illustrator, whatever the platform you use. Said so because of Inkscape has a compatibility with Illustrator where you can open an .AI file as well as edit it. CorelDRAW is probably the best alternative to Illustrator. The problem is, the tool costs very much. You have to spend the capital of $635 to buy the licence of this tool. Alternatively, you can also use the subscription version which costs $16.50 per month (billed annually). CorelDRAW is a great tool if you are a professional illustrator. You can draw nearly everything with it. From digital arts to brand logos. Unfortunately, CorelDRAW is very limited in terms of availability. It’s only available for Windows. The tool offers a 15-day free trial so can make some test first before making a purchase. CorelDRAW is undoubtedly a great design tool, but the price is too expensive even for some professional designers. 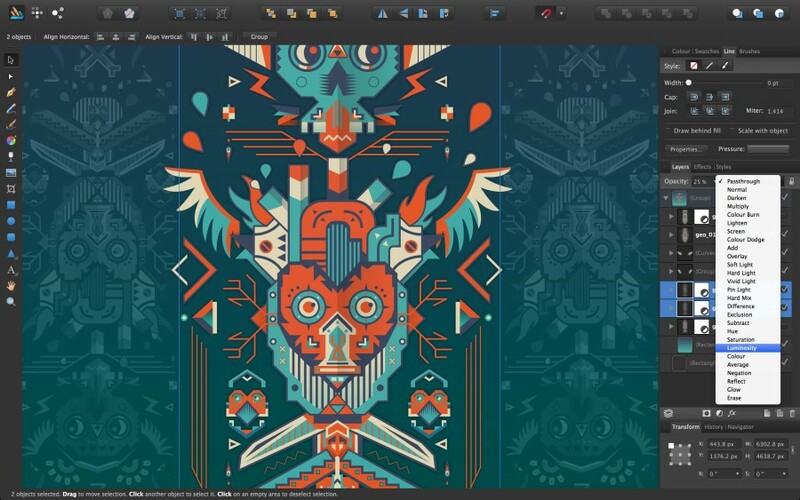 Meet the cheaper alternative, Affinity Designer. It only costs $49.99. One time purchase, no subscription. 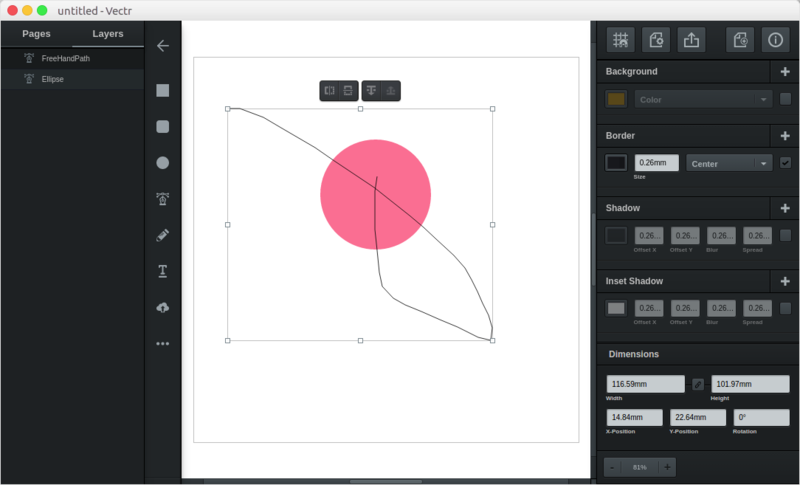 It’s a great design tool with the interface similar to Illustrator. You can use it to create any design. From illustrations, logos, UI design, mock ups to typography. Affinity Designed itself is developed by a UK based company, Serif Europe. The tool is available for Windows and macOS. Gravit Designer is a great design tool which you can use for free. The developer says that Gravit Designer a design tool for the 21st century. It’s because the tool is flexible to use thanks to the sync feature. You can use Gravit Designer on desktop or web. To take advantage of the sync feature you can create a Gravit Designer account. That way, you will be able to work from anywhere via web browser. 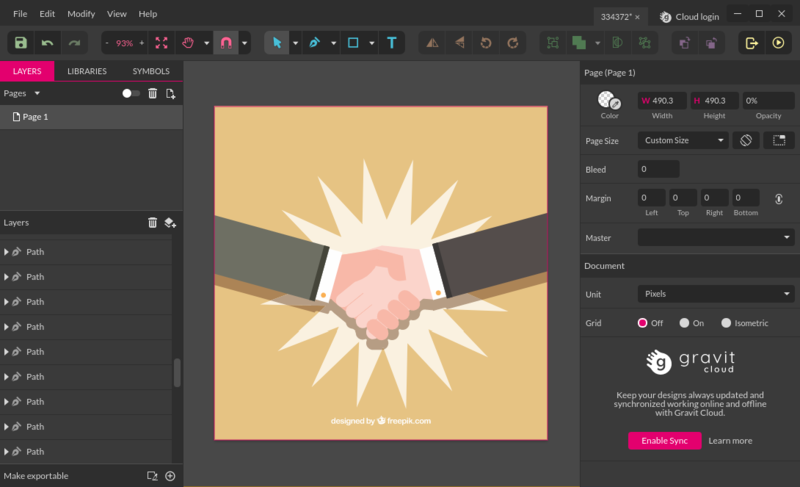 The desktop version of Gravit Designer is available for Linux, Windows and macOS. Gravit Designer is capable of handling ESP files. You can open as well as edit an ESP file using this tool. 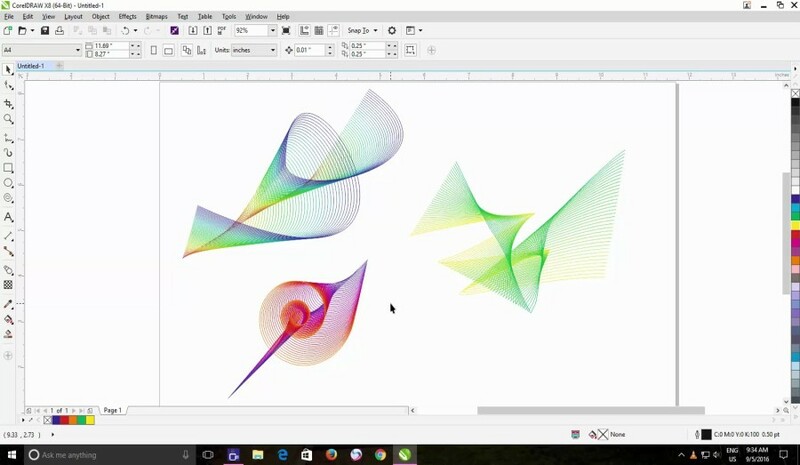 Graphic is also a great design tool you can use to replace Illustrator. Unfortunately, it is only available for Apple’s devices. Formerly, the tool known as iDraw. Graphic is bundled with several features, including an integration with iCloud. 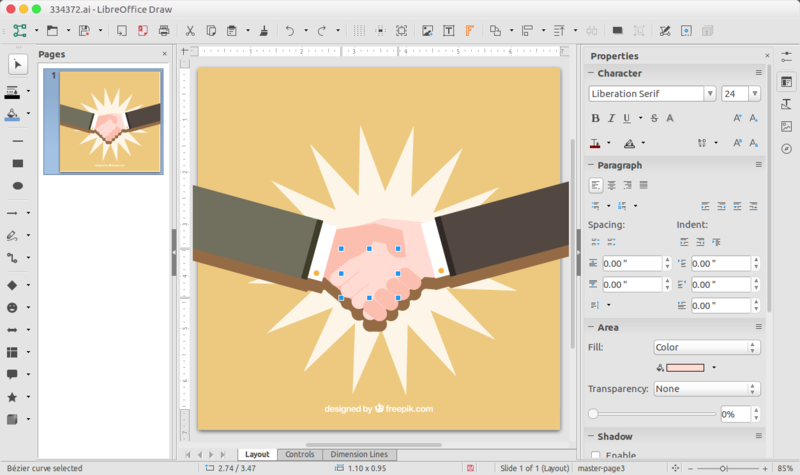 The interface of the tool itself is similar enough to Illustrator. It is also capable of handling ESP files. Graphic is a paid tool. Costs $29.99. 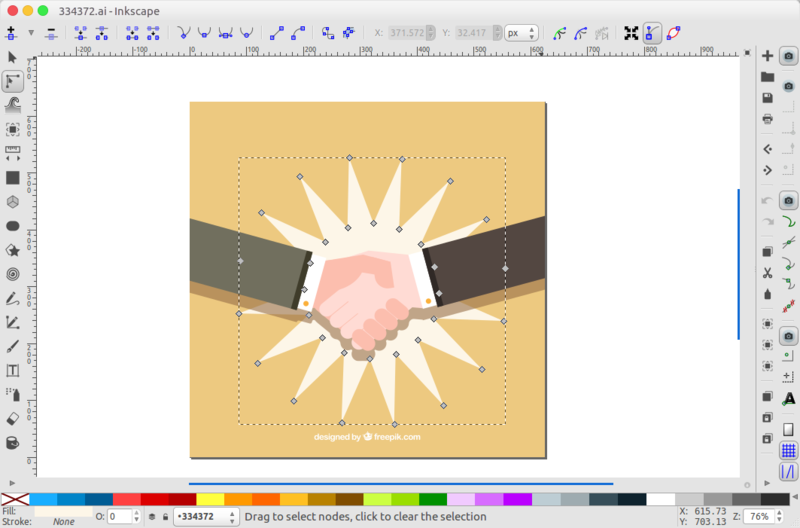 Another alternative of vector editor you can use for free. Vectr is also capable enough of replacing Illustrator’s role in helping you to create stunning images, but frankly, the features offered by this tool are limited enough. Vectr is available for web and desktop. The desktop version of Vectr is available for Windows, Linux and macOS. Unfortunately, the desktop version of Vectr gives you no chance to save your unfinished design to your computer. Instead, it will be saved to the cloud and you need to create a Vectr account to be able to save your design automatically. LibreOffice Draw is also great enough to replace Illustrator, although it doesn’t support layer. You can also use LibreOffice Draw to create stunning design from illustrations, book covers, any design. This vector editor is also capable of handling AI as well as ESP files. So, if you have some Illustrator files need to be edited, no need to worry. LibreOffice Draw itself is not a standalone app. It’s a part of LibreOffice. You can install it on Linux, Windows and macOS. Next articleTodoist vs Wunderlist: Which To-do List App You Should Use?